Technical production solutions provider Smart Production SRO from Prague, Czech Republic has invested in substantial quantities of MILOS’s M390L Quatro truss. The Czech Republic headquartered MILOS Group is the largest global aluminium trussing manufacturer offering the most diverse portfolio of trussing and related products worldwide. 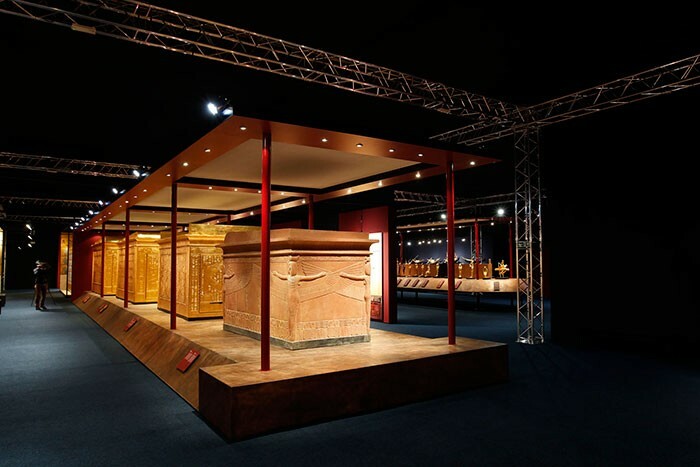 Smart Productions’ new trussing went directly into use in a large structure built for the current "Tutankhamen – His Tomb and Treasures" exhibition, staged at the Holesovice Exhibition Centre in Prague. The impressive trussing structure – measuring 97 metres long by 32 metres deep in total - is 4.9 metres high and joined together by a series of MILOS M390 multi-cube junctions. It is supported on 40 legs constructed from the same type of trussing. The structure forms the framework for several viewing sections of the experience in the main exhibition space, and is rigged with individual booths below, as well as banners, graphics and scenic materials plus assorted lighting and AV equipment. When it came to choosing which truss to utilise for the project, MILOS came highly recommended to Smart Productions. 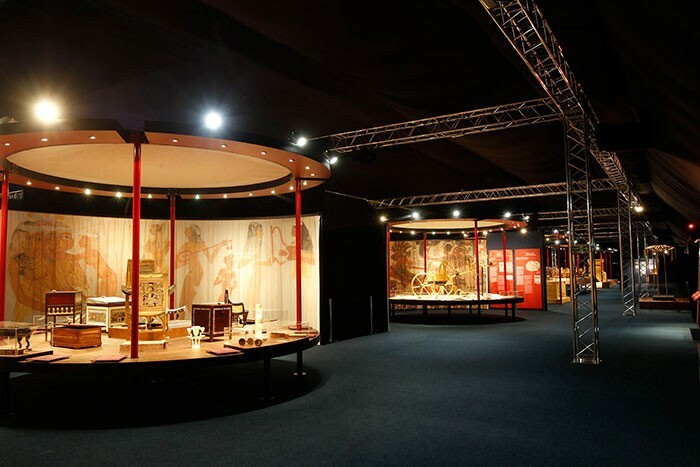 With the structure needing to be so large, they sought a robust, reliable and quality engineered product that could also go into their hire stock for everyday use when the exhibition is finished. MILOS could deliver the large order in a short timeframe, and offered their trademark excellent after sales service and support, which was another factor attracting Smart Productions to the brand. The sale was co-ordinated for MILOS by Milos Cmejla. QuickTruss M390 is one of the larger format MILOS product lines available in both heavy duty ‘L’ and regular ‘K’ versions. It uses the same conical connectors, pins and R-clips as MILOS’ M290 series of trussing and has excellent weight loading capacities over long spans. It is absolutely ideal for large scale applications like this where the distance between the legs is around 10 – 11 metres. Installation of the trussing system took two days involving a specialist rigging crew of ten. 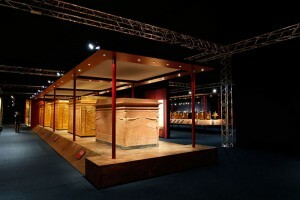 The exhibition is scheduled to run in Prague until the end of June, and includes the reconstruction of Tutankhamen’s tomb site, together with detailed replicas of the famous artefacts found in the burial chambers with audio-visual recordings, video screenings and interactive elements. Previous to this, the exhibition was in Brno, CZ, where it attracted over 200,000 visitors.